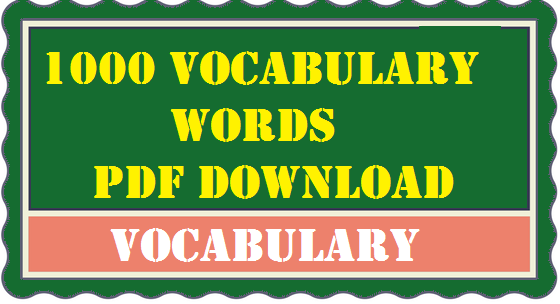 Hello Aspirants, Today We are sharing e-pdf document 1000 Vocabulary words e-book pdf free Download for competitive exams. It will be helpful for upcoming exams like SSC, SSC CGL, CHSL, SBI PO, IBPS, RRB AND INSURANCE EXAMS. Hope you would like the post!!! You are all advised to download English Vocabulary PDF free by through the given link. All the best.